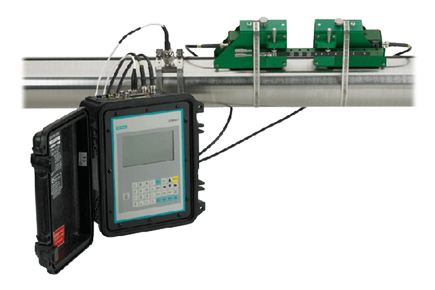 ABLE offer the Sitrans FUE1010 (energy), a highly accurate clamp-on non-intrusive ultrasonic flow meter for revenue grade thermal energy sub-metering and energy efficiency distribution monitoring, with a real time coefficient of performance (COP) for HVAC systems. The FUE1010 is being offered in single and dual channel/path configurations. There are two enclosures to choose from: wall mount and portable. The meter is also available as a pre-configured, portable Energy Check Metering Kit dedicated for the HVAC industry. Application examples include chilled and hot water sub-metering, condenser water, glycol, thermal storage and lake source cooling.